• Suitable for G3-GH Gimbal. • Suitable for G3-GH gimbal compatible with SLR-LIKE cameras and/or cameras with lighter weight or with short lens. 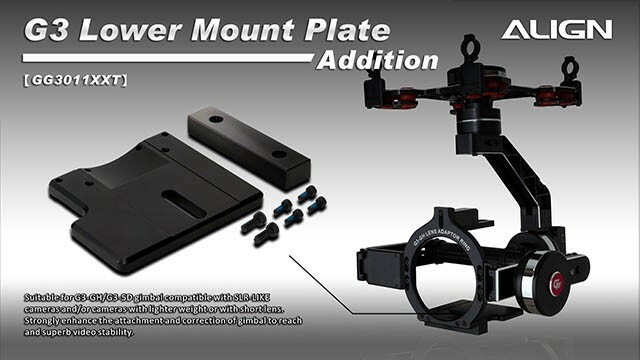 Strongly enhance the attachment and correction of gimbal to reach and superb video stability.